Ben Curry has made 20 good tackles so far this game. Worcester have won 140 rucks so far this game. A gap opened in the defence and Cameron Neild took full advantage. Worcester make a substitution with Ashley Beck coming on. Worcester make a substitution with Francois Venter coming off. Worcester sub Ryan Bower comes onto the field. Josh Adams played a key part in that try. A series of passes by Worcester results in a try for Chris Pennell. Mark Jennings has made 10 good tackles so far this game. Worcester decide to make a substitution, with Alafoti Faosiliva getting some game time. Worcester decide to make a substitution, with Marco Mama being replaced. Worcester make a substitution with Jonny Arr coming off. Denny Solomona makes the break as the defence re-enacts the parting of the red sea. Niall Annett departs for Worcester. That's a great try assist by Jonny Arr. Worcester are only a few metres out, surely they must score! And they do with Bryce Heem touching down. Nic Schonert comes on for Worcester. Simon Kerrod leaves the field. Denny Solomona intercepts the pass to race ahead and score the try for Sale. Alan MacGinty hits the right post with the conversion, failing to add the two points. A gap opened in the defence and Josh Beaumont took full advantage. 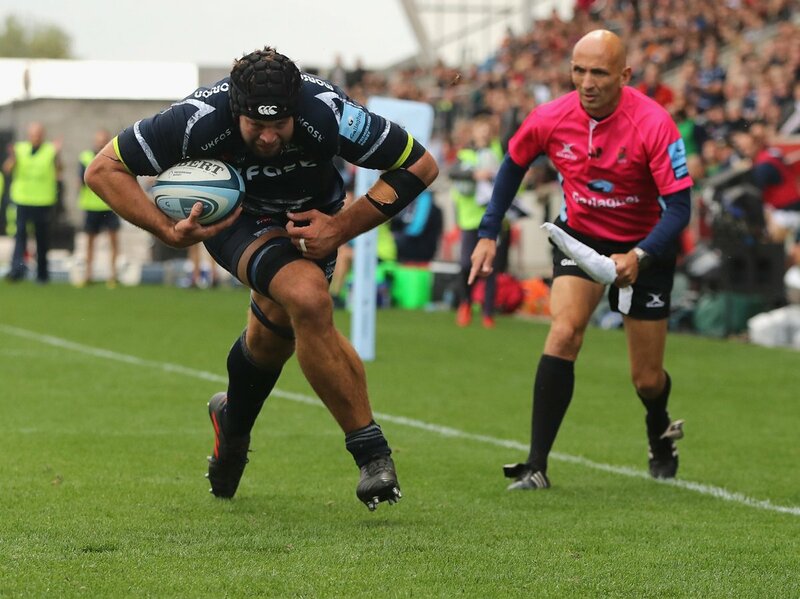 Great hands by Sale leads to a try for Josh Beaumont. The defensive line has been broken as Alan MacGinty goes through the gap. #YourSharks are back in action at the @AJBell_Stadium on 22nd September against @WaspsRugby 🦈🏉🐝. 👏 Thanks to those that made it up to Manchester this Sunday, and thanks to those for following. A much better second-half with tries for Bryce Heem and Chris Pennell but it wasn't quite enough as the Sharks held on. 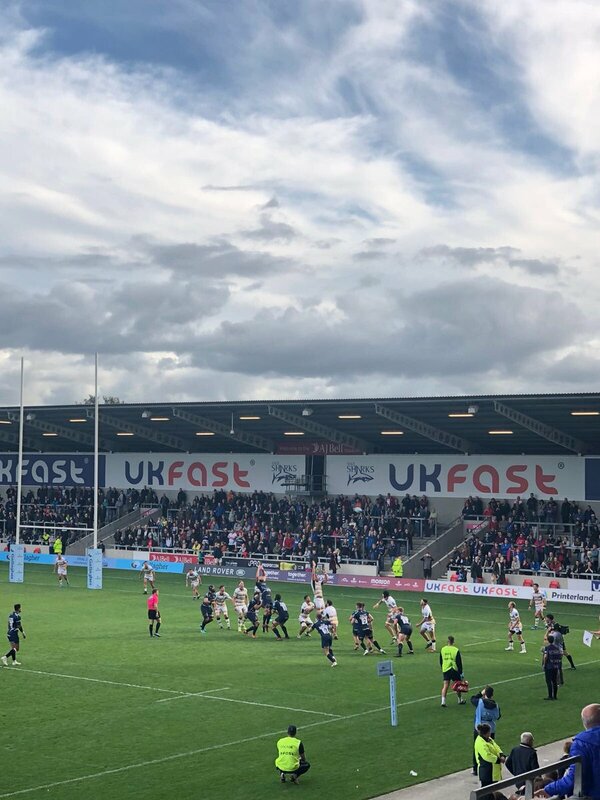 FULL-TIME | Sale Sharks 21-15 Worcester Warriors. 80m | @JoshAdams951 skipping through!!! INTO THE 22!!! 76m | MacGinty clears, but only to the 10-metre. Warriors lineout. 75m | Lost forward in the carry and Sale have big scrum 15 metres from their posts. 73m | Sale get free-kick from scrum now and play over the 10-metre.